Kaplan International (KI) is a division of Kaplan Inc., the largest subsidiary of Graham Holdings Company which is a diversified education and Media Company whose principal operations include educational services, television broadcasting, cable television systems, and online, print and local TV news. Kaplan International’s activities span a dynamic, growing English language business (KI English), a broad suite of higher education programmes in UK, Asia Pacific and Australia (KI Higher Education) and a professional and vocational training operation which offers courses in Australia and Asia Pacific (KI Professional & Vocational). Our English language division offers programmes at schools in the UK, Ireland, USA, Canada, Australia and New Zealand which include tuition, accommodation and social activities. With a presence in a wide range of popular, desirable global destinations, including a school on the 63rd floor of the Empire State Building, students from more than 100 countries choose to travel and study with us each year. Kaplan International English (www.kaplaninternational.com), a division of Kaplan Inc. (a subsidiary of Graham Holdings Company), is an exciting company in the world of international education. With 44 English language schools in the UK, Ireland, USA, Canada, Australia and New Zealand, we are a leading provider of English language courses and other study abroad programmes for students from more than 100 countries around the world. We are looking for an ambitious Customer Care Advisor (Italian Speaker) with a keen interest in international education. You will have the opportunity to speak with students from Italy. Your role will involve managing all related administrative tasks and business processes to complete student booking processes and to help the sales teams maximise revenue generation and growth. Systematically and proactively manage students bookings both telephone and email communication (Italian/English), ensure that bookings are processed within the agreed SLA period, payment and visas are received on time and all customer queries are answered in a timely manner. 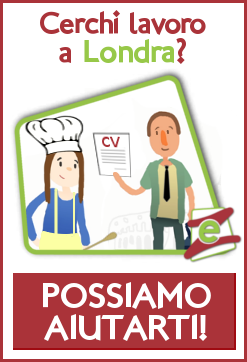 You will have had some experience providing administrative support in a corporate sales environment and be comfortable working to tight deadlines while managing competing priorities.You will be passionate about international education, fluent in Italian (written and spoken) and have a good cultural understanding of Italy. Any further language would also be of advantage. You will be performance driven and enjoy the challenge of a busy, international, multi-lingual and fast-paced office environment. This is a full-time position with a base salary of £19,000 and £3,000 bonus. We offer on-going coaching and training in Salesforce and other systems, as well as incentives and performance schemes. Opportunities for career progression include positions as team managers or within our direct and agent sales teams. Working hours are shifts from Monday to Friday between the hours of 8:00 am to 08:00 pm with one Saturday a month (i.e. 8:00 am to 4:30 pm or 9:00 am to 5:30 pm…). Please note that some flexibility is required in working hours aligned to the territory. Our benefits include childcare vouchers, a dental cash plan, cycle to work scheme, advantage discount scheme, and a subsidized café with free breakfast. Are you the one we’re looking for? Apply now by visiting the following online application form. Be sure to include your CV and covering letter telling us why you believe you are suitable for this role. Phone interviews and assessment days will be conducted shortly thereafter.